Hyphen provides actionable people insights based on critical employee life-cycle surveys, pulse polls and bottom up, crowd-sourced employee conversations with on-demand anonymity. With smart data visualizations, prioritized action planning, and people prediction abilities; Hyphen boosts productivity, engagement and retention enabling a stronger employee experience. "Great app, delivers lots of helpful insight"
It's easy to use and displays the findings from poll questions clearly. It's also an excellent way of reaching a large number of people across a range of geographies very quickly. People are clearly engaging with the app well and are genuinely interested in the ways in which it can give them access to management that they didn't have before. Interface could be cleaner, but they're making changes to this already. It would also be helpful to have more ways of cutting the data that the app gathers, the ways of analysing stuff through the dashboard feel relatively simplistic at the moment. This will no doubt improve over time though, particularly as we add more data points to our own research. Well worth considering this product. It gives valuable insight and is a helpful way of polling employees in order to make change at your business. We're yet to explore how it works as a way of letting employees communicate with one another, but this looks really interesting and look forward to doing it! Helping us understand why employees are unhappy and how we can make them happier. It's been very effective in the former, and we're still working through the process of doing the latter. As I've said in previous questions, a key benefit is how it's helped us reach a large number of people and ask them their views in quite a short space of time. Thanks for your review and we look forward to a great partnership with you. We love being challenged by smart partners like you... and yes we will be working in the quarters to come to clean up the interface and continuously enhance our analytics capabilities! "A revolutionary platform to enable real-time engagement"
The best thing about Hyphen is how it enables the organisation to instantaneously track the sentiment of the organisation on major strategic initiatives. It gives leaders and managers an easy view to gauge teams engagement and take appropriate actions. In all, this helps us in quantifying the softer side of business and hence becomes an invaluable asset to the organisation. The platform is a functional one that addresses the need of the hour. However, the product can improve by embedding AI into features like moderation, guided insights, action recommendations etc. Also, Hyphen must start to move towards an integrated user experience, by moving towards integrating to the interfaces like Skype, Outlook etc. This would help in creating more consumer-grade experience for the associates. I'm confident that folks at Hyphen are already actively working towards this. Hyphen is platform that is great for someone who is wanting to build an inclusive and transparent organization. I wish an employee engagement tool would also have capabilities for employee self-evaluation and performance reviews, but I learnt that there is nothing like it in the market. that being said from an employee perspective would make a ton of sense. With the changing organizational hierarchies and the millennial entry into the workforce, there is no reason for any organization not to at least try a tool like Hyphen and experience the power of easy surveys and/or bottom-up feedback. While I am often meeting conservative HR folks who do not think their teams will be able to cope with the real-time-ness and the volume of insights - that can be addressed with the right process. it is the uniqueness and quality of the Insights from Hyphen that you will see most value in. Hyphen allows us to quantify our HR processes and take the necessary actions based on the lowest hanging fruits which has already helped us in reducing attrition (I know of a few employees we "saved") and increase the overall productivity (I know of a few processes optimized). Thank you much for your review Arnaud, we are so happy that Hyphen helps your organization collect feedback at scale and act on it. "Bridging the connection between claims and reality"
Hyphen helps in checking the pulse of organisation and providing different cuts as per the dimensions defined. Its biggest advantage is reach and ability to gather responses within a short span of time. It has a plain and simple UI is icing over the cake. Some of the unique features like action planning, controlling post via closing, archiving, flagging etc shows the thought put by Hyphen team in designing the tool and making it suited to organisation needs. We have absolute trust on the Hyphen future roadmap and are excited to experience it. Hyphen is a wonderful tool in terms of idea and simplicity. The ease of implementation which is unmatchable. Hyphen team is always there to support and there alertness and importance given to customer feedback is something which makes you continue with them. Product idea is very novel and the functionalities introduced by team makes it very close to management heart. Thanks for your great review and feedback Anurag. We look forward to continuing our partnership and working with you to improve our solution. We have made great improvements in terms of performance lately, both in mobile and web, and keep it a priority as we onboard larger and larger customers. "A very high value-adding experience with delivers on what it promises to do! Highly impressed!" The fact that it is extremely user-friendly. It is so very easy to use and provides employees a platform where they can voice their opinions, give feedback, engage with their leaders - all this, without any hassle. So employees aren't struggling with how to use it! And if I may add another top rated aspect according to me, the anonymity feature is fantastic because I can voice my constructive feedback without the fear of being judged. And most importantly, the team's support is phenomenal! They are very hand on with their work and that just really enhances the customer experience. Hyphen has given only a positive experience till date. So, nothing to dislike! Increase engagement and bridge the communication gap between leaders/organization and employees. We have definitely seen an increase in the levels of engagement where employees are now posting their feedback and questions on the app that as an employer is allowing us to see our strengths as well as areas of improvement. Also, with the initiatives being taken through Hyphen, we have seen a rise in interaction between employees and the leaders which is definitely a good sign. We have been using Hyphen for the last year. It has been a great tool for sharing feedback to our management team and has provided lots of opportunities for discussion over issues in our weekly staff meetings where we share all of the responses submitted to Hyphen. I feel that the questions asked have often provided feedback that has benefited the culture in our office. I wish that the shareable links to the responses would expire after a week so that the responses wouldn't not remain accessible forever. I highly recommend this to any company who wants to improve their company culture and receive constructive feedback from employees. In the few months we have used Hyphen, our experience has been outstanding. The support has been timely and helpful. The service is easy to use, simple and beneficial as we grow our company. I love this product and highly recommend it. "We found Hyphen to be the only tool that truly enables our employees to speak up"
Make use of the various dimensions and HR categories which Hyphen can incorporate to give you a deeper understanding of your employees. Needless to say that more the dimensions, the better drill down you can get. - We are able to bridge communication gaps across the organization. Hi there, and thanks for the review. Yes we are rolling out SMS alerts (onboarding, notifications) in the coming weeks, this is going to have a huge impact on organizations with deskless employees! "Great survey experience, but loved Employee Voice helping me get some great feedback from my Tech te"
We started using Hyphen to initially help us track the engagment levels through the Survey capability that Hyphen offers. But, afte a bit, we tried out Employee Voice and Pulse Polls and loved how it made the engagement within the company a lot more real-time. I also lovbed the level of analytics that Hyphen offerered. With Hyphen, it was extremeley easy to see the overall favorability levels within the organization but then also very easy to drill down into key segments such as department or office to discover key hotspots. Hyphen offeres some gamification with the points one could accrue as part of engaging activity. But I would have liked a lot more of this. They have said that they are working on badges etc and I think that will be something that our team will love. No software can solve things by itself. I know that for me, the big initial challenge was to ensure that my managers paid attention to the conversation and survey results coming out of Hyphen. What really helped was to create a structure of a monthly meeting where my Managers and I reviewed the key data points that we were collecting and then decided on an action plan and actually documented it within Hyphen itself. So, I'd say that it's pretty important to make sure that you have a process associated with implementing Hyphen. When we started using Hyphen, we were looking to get more data on our engagement levels within different teams. We had faced a bit of rise in attrition and we really wanted to dig intoo what was causing it. So, with Hyphen, we created a set of quarterly pulse surveys which were sent to all employees. Some of these questions were new while the others were repeating ones. It was nice to be able to do this within Hyphen since with the questions that were being asked multiple times, we were able to get a trend of historical data. We also used their voice module for real-time feedback. We definitely got some great actionable datapoints which were able to act on and imporve our retention rate. Thanks for the positive review. We look forward to working with you to enhance gamification in a way that actually contributes to improving employee engagement. We have talked to several customers - like you! - about it and now have a plan! "We now have all our employee data in one place"
Hyphen enabled transparent feedback that revealed a variety of issues that we were subsequently able to deal with. We have less blind spots and issues are addressed before they become big and cause damage. - Conduct all our quarterly surveys, event feedback surveys, onboarding & exit surveys. Performance management is not on our short-term roadmap, however we look forward to telling you about how our customers use Hyphen to run quarterly "Manager Capability" surveys to help managers continuously improve their performance. "Makes our office an even better place to work"
I have had experience with many different survey platforms and I strongly believe that Hyphen brings something special by complementing surveys with Constant Employee Listening. You get to understand the root causes of disengagement instead of just measuring it. Our Glassdoor reviews have improved since we started using Hyphen! If the solution could predict possible attrition within a company, perhaps it would become the best in the market. After having spoken to the Hyphen team on this, I am informed that it's in the product road-map and should be incorporated by mid 2018. Really looking forward to it. If you are piloting the bottom up employee voice feature of Hyphen, have atleast 100 employees participating in it to make sure that you get the elevant data. If piloting the surveys and pulse polls, you should be able to gauge the Hyphen experience with a small group of 20 employees. We had always faced difficulties in actually guaging the pulse of our organization which changes drastically with Hyphen. Due to the recency impact of most surrveys we could never get a full picture of what our employees are thinking and this was a serious cause of concern. Hyphen has empowered our Organization with real-time listening combined with ongoing surveys and pulse polls which is helping us keep a constant check on what our employees need to be the best version of themselves. Having said that, the powerful analytics which Hyphen provides were never seen in our organization and that coupled with the ability to plan actions has been instrumental in reducing organizational attrition. "Loved getting ideas and suggestions from my team using Hyphen"
Loved how Hyphen helped my team provide candid thoughts on how to improve ourselves in a safe and social way. With the anonymity turned on, I was able to get some really good thoughts on a few things which we should change. Pretty sure I wouldn't have gotten that without the anonymity feature. We also loved the capability to automate regular mini surveys and pulse polls. Really would like to see Hyphen add performance review capability too. They have a great Manager ratings report but have been talking to them about beefing this up to make it more of a 360 which they tell me is coming in 2018. When implementing Hyphen, it's important to first decide which modules of theirs are best for you. In addition, they provide capabilities around controlling anonymity at different levels. You want to make sure that you choose the option that is best for you. "The key business problem that we faced in our group was that of getting frank and honest feedback on how to better our processes and how we function as a team. The challenge I faced in the past was that whenever we would meet as a team, I felt that people were not being completely honest. That changed with Hyphen. Now, with Hyphen's action planning capabilities, as and when great ideas or feedback comes in from the team, I am able to create an action plan with a deadline and an owner. The regular automated engagement surveys which we send out on a quarterly basis and the pulse polls which we have going out at the rate of 1 question a week is providing me with a real-time snapshot of what the team's engagement level is at. " HI and thanks for your review! Performance management is not our sweet spot, but indeed Hyphen is used by customers to provide feedback and guidance to managers on their performance. Let us know if you would like to hear more about this use case. "A completely new way of engaging our employees"
1. Combination of top down and bottom up communication. I have experienced a crash here or there, but nothing hampering my continuous use of the app. Also the Hyphen team has helped diligently whenever we have had an issue. To be noted that the latest mobile app release is much more stable and got good feedback from a lot of employees. With Hyphen you'll get so much more visibility on employees' needs today. But, employee feedback & insights are not much of use if the right action is not taken at the right time, so make sure you use the neat "action planning" feature to nip employee issues in the bud. Hyphen helped EuroGroup look at engagement in a fresh way. Combined engagement surveys, pulse polls and bottom-up employee conversations have initiated a hockey stick improvement in our overall engagement scores. Our employees pretty much rave about Hyphen! "Fast tool to collect real-time employee feedback at scale"
We have multi-site operations and people travelling across all the time. It is very difficult for management to "walk to floors" since there are no floors! The instantaneous feedback is what really enamoured us with the tool, and the availability of Hyphen on smartphones is key for us, the push notifications and the diverse digests are awesome and engaging for all sorts of employees! The app had some slowness a few months back when a lot of people are using it at the same time. But the team really has improved performance lately, and we are now happy with loading time, as both the mobile apps, the web app and the insights dashboards. and other reports load in just a few seconds, which is acceptable for employees and managers alike. Absolutely instrumental in engaging even your last mile employees who are deskless, email less and on the go! Must try. The team also is very competent and responsive, have at least a conversation with them to see if you see fit. Hyphen lets us listen to our employees anytime, anywhere! We have been able to change several policies (work from home, safety, and more) and initiate leadership / board-level discussions based on the feedback we have received on Hyphen. We have been running Ask Leaders Anything sessions with great success, with every employee being given the opportunity to ask a question or leave a comment and suggestion anonymously, with leaders reading and responding in real time - a powerful experience both for employees and senior management. Thanks for your review. And glad you have noticed our significant performance improvements on mobile, web and analytics! 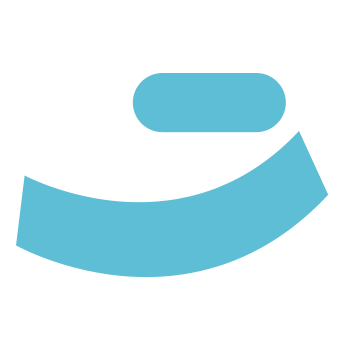 "Hyphen is an excellent tool for assessing and helping to improve on employee engagement." Hyphen has proven to be an excellent platform for helping to give our whole employee population a voice. The anonymity feature allows people the freedom to openly express their opinions, and through the creation of posts we see a good interchange of ideas from all levels in the organization. The analytics get better all the time and via the pulse polls and net sentiment functions provide for some great insight into the pulse of the company over time and at points in time. Our only dislike is that sometimes features of the program can be somewhat confusing at first. That said, the Hyphen Team is very responsive and open to suggestions - they have been able to add and/or enhance clarity each time we have had questions about functionality. Excellent tool for helping to improve on employee engagement. The Hyphen Team has been a pleasure to work with. We have historically been challenged connecting different groups within the organization and getting meaningful feedback from them on subjects like culture and engagement - Hyphen has gone a long ways in a short time to help rectify this situation. Also, it has allowed us to migrate from tools like annual or semi-annual engagement surveys which lose relevance rather quickly to a very real time take on how people in the organization are relating to each other and the company. The suite of analytics has also helped us to focus much more quickly on areas that need attention so that issues can be dealt with before they get out of control. Thanks for the review David! It is thanks to customers like you that we can continuously improve our platform, so thanks for the feedback you have given to us since the beginning. "Moving from other survey tools to Hyphen has been the best thing our HR team did"
We used Google forms in the past for our survey purposes. It took us almost a few weeks to collate the data let alone start making sense of it. Hyphen came and all of this just changed. Now we are able to get insights into our people based on their survey responses completely real-time and that has been powerful in our growth which we have started to see. Stop making your HR's do grunt/admin work which causes manual error by moving to Hyphen. The biggest problem we are solving would be save the time our HR team used to spend on making sense of our survey data. It's safe to say that Hyphen has made us more solution oriented by providing the insights real-time and moving the focus to action planning. "Hyphen worked perfectly for us "
We were looking for a solution that would help one of our major corporate clients communicate internally. Hyphen provides a perfect off the shelf solution, and we were continually impressed by the team at Hyphen who went above and beyond to work to our specifically. Everything has been very smooth - I look forward to the future development of the app as new features are introduced. Give it a try. It’s defintely the best product of its type on the market. We needed to find a way to anonymously boost employee engagement; and find the pulse of the work force. Hyphen delivered this seamlessly. Thanks for your review, and we are looking forward to an even deeper partnership between our organizations! "We created a "virtual open door" policy through Hyphen"
-> Ability to plan actions based on real-time feedback by employees. -> Smart AI technology understand sentiment of the company based on qualitative analysis with more than 95% accuracy. -> Manager & Leader based reporting for overall view of the pulse of the organization. Hyphen is a brilliant tool which is very well thought out, but what would be great is if they could troubleshoot the small error which come with the stability and speed of the platform on high loads. Since the Hyphen team is working on it day & night, I am sure this will be taken care in the next few weeks. -> Drive both mobile and web usage to have hockey stick adoption. -> Action planning on the insights is super important to create trust within the employee base regarding their queries. -> Test out the platform through a pilot and see how it suits your needs before purchase. -> Engaging our employees in real-time and quick action planning. -> Applying big data in HR to transform HR as a strategic resource. -> Improve productivity and retention, organization wide. "Hyphen has helped us listen to our employees anytime, anywhere!" 1. Combination of top down and bottom up approach which has helped us create a transparent culture. 2. The ability to quantify HR which has completely changed the way HR as a dept is looked at. It's more of a strategic asset, post Hyphen. 3. Once the key pockets of dissatisfaction are identified, Hyphen lets us set deliverables, assign owners and track action to completion. 4. Probably above all of these, the Hyphen team is one of the most supportive vendor teams we have ever got to work with. It's been almost a year of using Hyphen and till now there is nothing to dislike. Just go for it and see how it changes the way your people work on a daily basis. 1. Hyphen is helping us reduce attrition by addressing pockets of problems which are missed otherwise. 2. We have a more open and transparent work culture which is rally appreciated by our employees, specifically the millennials. 3. It has helped stir policy level discussions which have been appreciated by all our employees. "Feedback for using Hyphen as employee listening vehicle"
The platform connects employees to the management in a balanced formal fashion, wherein employees can listen to the management and vice versa. Both can see the outcomes of their contribution to the conversations and the bias is minimized by the anonymous feature. The platform is mainly text based interaction. Symbolic listening through pictures, audio, video would have been great. Absence of seamless communication between employees & management. Platform fits right into this issue and helps me create an easy and moderated two way communication. "Hyphen is transforming our company culture"
Hyphen has allowed for very candid feedback to be gathered, which improved morale and effectiveness of the office. There is nothing to dislike in this product. They have a long way to go and from how things are shaping up, they can become the global leaders in the space. It's a great tool to accelerate feedback into action. Recommendation to all employees would be to keep providing valuable feedback on everything that happens within your company. Ability to connect different parts of the company since we have distributed offices in a few countries. "Best in class on the spot feedback mechanism"
Thanks for your review Reshama. We are glad to have figured out / iron out our initial issues. Email, IP, and URL whitelisting is now a key step in every customer's onboarding. Looking forward to a fruitful partnership going forward! Have a deep understanding employees, fast event handling for issues and trends. should consider to prioritize low experienced employee too. Thanks for your review. Would love to hear more feedback from you. Definitely, non-tech-savvy employees are a priority for us, and we are currently rolling out SMS notification capability to reach out to ALL employees. If you have other thoughts on this matter, please feel free to reach out to me directly at arnaud@gethyphen.com. * We monitor all Hyphen reviews to prevent fraudulent reviews and keep review quality high. We do not post reviews by company employees or direct competitors. Validated reviews require the user to submit a screenshot of the product containing their user ID, in order to verify a user is an actual user of the product. Hi there! Are you looking to implement a solution like Hyphen?